Once you have had a diagnosis of head lice on one or more of the people in your household, you should know that you never have to go through it alone. There can be a great deal of work ahead of you to make sure that everyone is completely lice free, including educating yourself on this parasite insect and how the infestation can grow. While the louse eggs, or nits, can be very small, you can see them with your naked eye. These eggs prior to hatching can be yellow, tan or brown. Once they hatch, they will be a lighter, almost white color. The eggs are usually found down close to the scalp on the hair shaft, as this is where the temperature is just right for keeping the eggs warm before hatching. They may look like dandruff, yet you cannot remove them unless they are pulled, or combed off of the hair. A lice diagnosis does not mean that you are going to find it on everyone in your home. However, head lice is very contagious and it can move to other people in your household if you are not careful and not diligent about head checks. With our Frisco lice removal & lice treatment clinic, you are going to have customized services that will help you to find and remove all of the nits and lice that are located on the hair. All of our products and treatments are completely safe, effective, affordable and not toxic in any way. When you compare the services that we offer to any of the other lice removal services that are out there today, you will find that our one time treatment and the great guarantee we offer makes for the best option for your family. As a matter of fact, the peace of mind that The Lice Place can give you is really something too big to put a price tag on. When you contact us to learn about your options in Frisco lice removal & lice treatment clinic, we will give you an initial consultation. We will go over how the treatment process works and go over the products that we offer. Along with the treatment, you will get your own Terminator Comb that is yours to keep for head checks and any potential outbreaks in the future. The comb also comes with a lifetime warranty. It is always our goal to get you in and out in terms of treatment. The average time for coming and removal will be around 60-90 minutes for girls and then about 30 to 45 minutes for boys. Of course, the severity of the infestation and the type of hair will play a major role in how long the treatment takes. 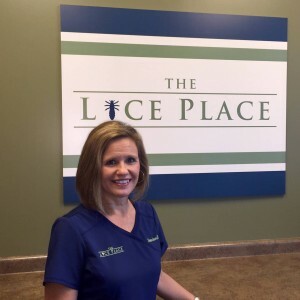 Let The Lice Place be your answer for Frisco lice removal & lice treatment clinic so that you can get results safely and effectively.